Super Size Me! 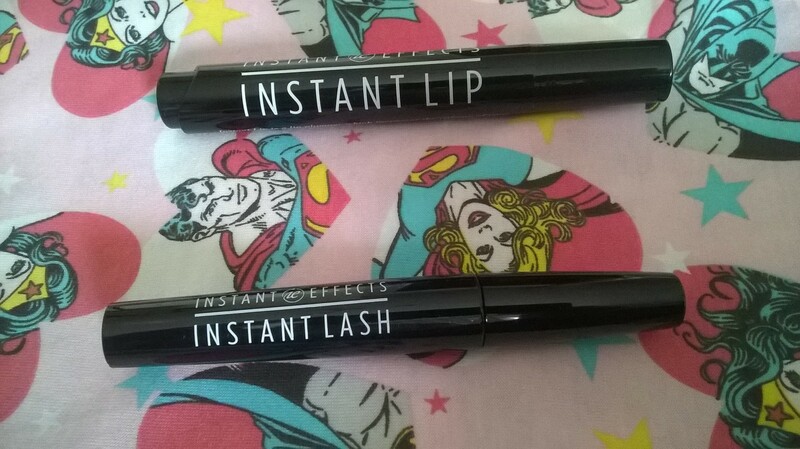 : Are Instant Effects Lip and Lash Products Heroes? POW! ZAP! ZING! 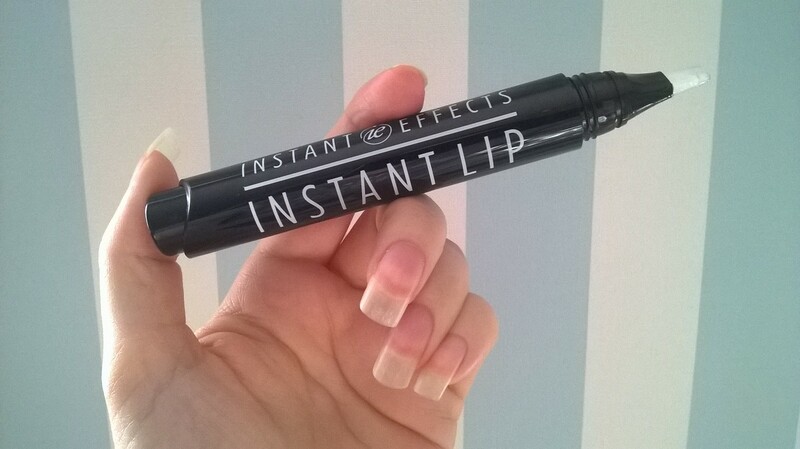 In an everyday battle for lusher lashes and fuller lips, Instant Effects has stepped into the fray as a hero for our faces! Declaring to increase our flutter and boost our pout by up to 20%, this new super hero whips out its Instant Lash Volumiser and Instant Lip Plumper in the face of adversity. With such claims, we wanted these power players in our corner to combat our niggles! But do these everyday goodies deliver…or are they in fact a bunch of baddies in disguise? Click this way and discover whether our woes could be saved! Many are the days we look in the mirror and ask our reflection, “could we not just have a LITTLE more?” here at Fashion Du Jour LDN HQ. Yes, we would love to be the bearers of longer, fuller lashes and bigger, fuller lips *SIGH*. We love finding products that help us get the best version of ourselves, without making taxing, overly expensive or painful choices. So when Instant Effects came to our attention with the potential promise of easy, simple, quick and pain-free solutions, we were excited to try and intrigued to see the results. Especially as these may be a quick fix in terms of application, but the results are meant to be cumulative, meaning today’s application was storing up results for tomorrow…and beyond! Now that’s something we like the sound of. As girls with busy schedules and hectic social lives, we tend to seek out products that deliver FAST. And who doesn’t like the sound of results that last after the product has been removed? Can we get an AMEN, sisters! The products claim that results can be seen within 2 minutes, with lashes and lips appearing 20% more voluminous. Now that’s a super hero product if ever we heard one! Furthermore, the Instant Lash Volumiser also says that with continued use daily, it will improve the thickness of lashes by up to 35% in 2 weeks and up to 40% in 6 weeks, together with up to a 20% increase in the length of your flutter! It can also be used on sparse eyebrows for those us who go a bit cray cray on the plucking or want to “Delevigne” up our brows. Whereas those wishing for a Jolie-worthy pout could be in luck with the Instant Lip Plumper. Not only are the results visible after 2 minutes, but the effect of smoother, fuller appearance is stated to last for 4 days! Plus no stinging, tingling feeling or aggravation to boot. We still shudder at the memory of other lip plumpers – oh the horror of that burn! We know “no pain, no gain”…but seriously?! What makes these products special is the simplicity of use. The applicators are easy and foolproof and deliver the right amount of product. 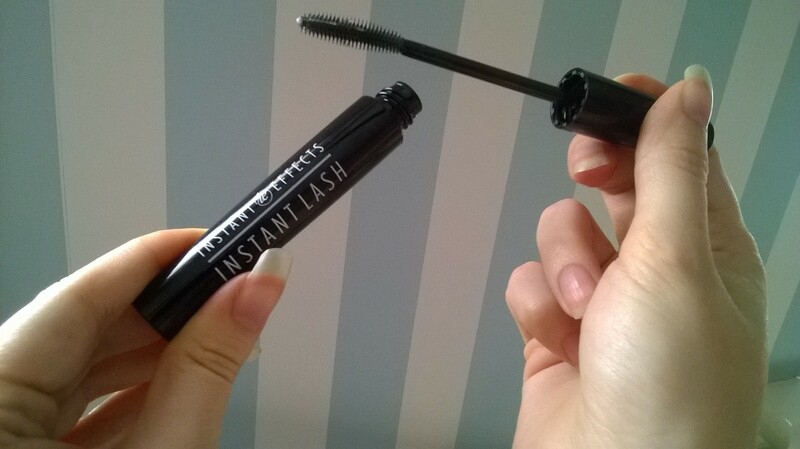 With the Instant Lash Volumiser, we recommend that you put this on after you have cleansed and moisturised and at the start of your makeup routine. This will give the product time to work and dry whilst you get on with your daily glam. Make sure you thoroughly coat the lashes from root to tip, inner corner to outer. By the time you have applied your other makeup, your lashes should be primed and ready for mascara. In regards to your eyebrows, we recommend that you use whatever pencil/powder you use to fill them in, then apply the Lash Volumiser to fix your brow game in place. As you can see from the photos above, the product coats what you already have got and seems to multiple in all directions – thicker and fuller. We have been using the Lash Volumiser for about 2 weeks and yes, we would agree that the effects are not only immediate, but seem to be lasting after we take off our makeup. Score! That means our flutter power is going from strength to strength hopefully. And who doesn’t like the thought of a more beautiful lash game sans makeup? Also as a side note, we are noticing that when using the product that our mascara is less smudgy and lasts longer. 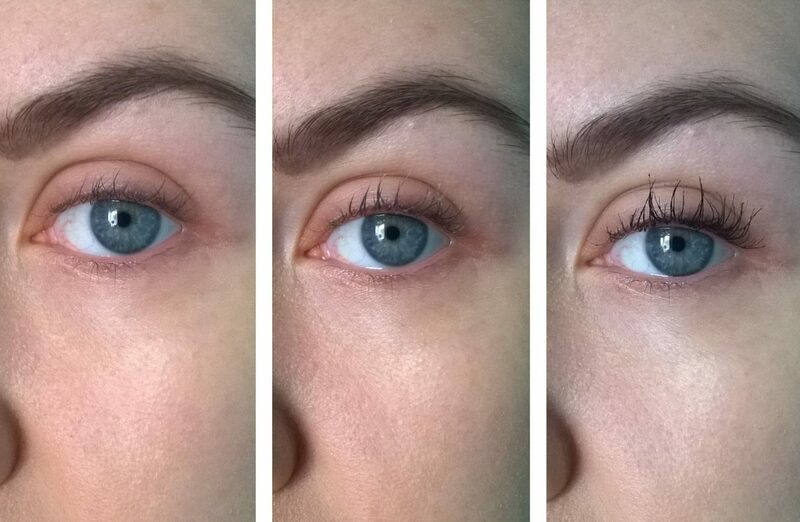 It’s also pretty fab on its own if you fancy a quick no makeup look for your lashes. Huzzah! But what of the Lip Plumper? 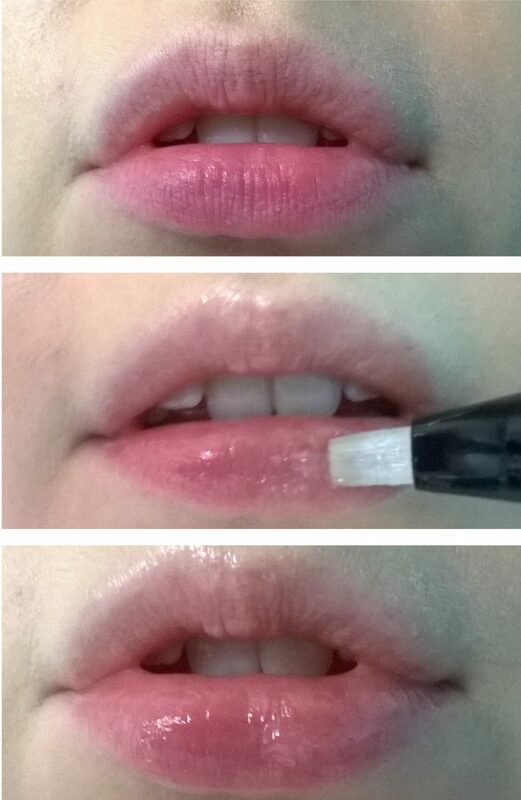 We must admit we love the applicator for the lip product. The pump action means you can control how much product you would like, keeps it fresh and the lip brush applies it smoothly to the lips. Again this is great to use before you start applying your makeup, especially if you are wanting to use lipstick. If not, apply whenever as it has no stinging or irritation and a great glossy finish that isn’t sticky and so could replace your balm. The product uses a patented Oxygen transfer technology, together with Hyaluronic spheres, which react with your lips to create the plumping, volumising and super-moisturising effect. Now, we would definitely say that the results for this product are a lot more subtle than those of the Lash Voumiser. Nicky definitely noticed a lot more of a result than Leigh, especially on her upper lip. Leigh’s lips are above and as you can see there is a definite smoothing effect and the lips look glossy and full…but this could be found potentially with most good lip glosses visually. Also, Leigh’s lips are pretty full already?! However the feel on the lips is fabulous! The gloss and moisturising effects certainly last and we have been reaching for this more often than our lip balms accordingly. They also feel more smooth and “cushiony”. To say the results can last for up to 4 days, we personally think that might be a bit of a stretch. But for delivering on smooth, hydrated and fuller looking lips? We do give it a thumbs up. It also creates a beautiful base for lipsticks to glide smoothly on to. So will we be keeping this Batman and Robin duo of volume vigilantes in our make-up bags? Yes, on the whole we would. We love the instant effect of the Instant Lash Volumiser and we are excited to see what results continued use are going to reveal. With the Instant Lip Plumper, the result we feel is more cosmetic…but one we feel pretty partial too, we must admit. If you are wanting fuller, more glam lips and lashes fillies, this pair might just come to your rescue! P.S. Want subscribe? It’s like, super easy! Just hit the follow button in the very top right of the page. Simple! Whilst you’re at it, why not check out our Twitter, Instagram and Facebook? Fabulous! Scandi-lous! : How To Celebrate Midsummer Eve – Swedish Style! Well this could work a treat Steph 😀 Plus it’s great for holding your brow game in place all day! Never heard of any of these, but love the effect on the lashes. Hehehe Anosa! Who knows what kind of lip result you could have? 😀 Highly recommend the lash volumiser – the results are incredible and can’t wait to see what resuts will come from continued use! Same here Mellissa, was cynical when we started using it but are so impressed with the results we’ve seen. Worth splashing out on! As do we Jess! Love that it will build up a result as we use it…excited to see how long and thick our lashes could become! That’s quite a transformation on the lashes such a difference. It really is Sharon! We were a bit cynical…but the pics don’t lie. We’re excited to see what results we get with continued use! I’ve heard so much about Instant Effects. The mascara looks incredible! It seems to be getting quite a buzz right Emma? And after trying it we can understand why! You gals always show me brands I’ve never come across before! I’ll have to check out the lash volumiser! Awww thanks Jess! We love discovering new brands and products…especially if they are little beauts that need to be shared with the bloggosphere STAT! Yes, highly recommend the lash volumiser – so worth it! It really is, isn’t it Cecilia? But these seem to legitimately make a visible difference! Awww thanks, glad you enjoyed it.